Citrix has released an update to their XenApp 7.17 and XenDesktop 7.17 products. The latest Current Release version of XenApp 7.17 and XenDesktop 7.17 and this documentation reflects features and configurations in this latest release. Other new stuff in XenApp 7.17 and XenDesktop 7.17 is HDX 3D pro technology has been improved with h265 with NVIDIA Hardware. This in combination with the recent release of XenServer 7.4 that now supports vGPU Xenmotion is a good addition. XenServer also now supports NVIDIA Pascal GPU’s and AMD MxGPU. An additional restart occurs when upgrading a VDA to version 7.17 (or a later supported version). This restart is required after the installer removes one of the MSIs (ICA WS/Ts) and then installs the new version of that MSI. When you install a VDA, you can now choose whether to install a VDA supportability MSI that includes Citrix tools. You can use the tools to check items such as the overall health of your VDA and connection quality. In the installer’s graphical interface, select or clear a check box on the Additional Components page. In the command line interface, use the /exclude “Citrix Supportability Tools” to prevent installation of the MSI that contains the tools. The VDA installers no longer offer options to control Universal Print Server PDF printer driver installation. The PDF printer driver is now always installed automatically. When you upgrade to the 7.17 VDA (or a later supported version), any previously installed Citrix PDF printer driver is automatically removed and replaced with the latest version. When users launch a published application from within a published desktop, you can use PowerShell to control whether the application is launched in that desktop session or as a published application in the same Delivery Group. By default, the application in the published desktop session is launched. For details, see Control local launch of applications on published desktops. The Citrix Federated Authentication Service released with XenApp 7.17 and XenDesktop 7.17 stores its configuration data, including user and registration authority certificates, in an embedded database. In previous releases, this data was stored in the registry. When upgrading to this release, all Federated Authentication Service configuration data except user certificates is migrated from the registry to the embedded database. PIV smart card authentication support. Apart from the form based and Integrated Windows authentication of users, Director now supports Personal Identity Verification (PIV) based smart card authentication. This feature is useful for organizations and government agencies that use smart card based authentication for access control. To log on to Director, insert your smart card into the smart card reader, and enter your smart card token. After you are authenticated, you can access Director without having to provide additional credentials on the Director logon page. Browser content redirection blacklist. You can create a blacklist policy along with the existing Access Control List (ACL) policy. The URLs in this blacklist policy aren’t redirected. For example, you add a company’s URL to the whitelist, but you don’t want a specific URL at the company website to be redirected. Add that specific URL to the blacklist and browser content redirection doesn’t occur for that URL. For more information, see Browser content redirection. Browser content redirection video fallback prevention. If client redirection fails, you can prevent fallback of HTML5 videos to the server side. Use the existing Windows media fallback prevention policy to prevent server side rendering of video elements. Setting this policy suppresses only the video elements and not the HTML content of the page. The HTML content is rendered on the server. For more information, see Browser content redirection. Citrix webcam video compression for 64-bit applications. Support for 64-bit Citrix webcam video compression is available. Important: The 64-bit application support requires H.264 compression. Lossless compression codec (MDRLE). A higher compression ratio MDRLE encoder is added to Thinwire. The MDRLE codec consumes less bandwidth in typical desktop sessions than the 2DRLE codec. If the codec is supported on the server and client sides, it’s used instead of 2DRLE. For more information, see “Encoding methods” in the Thinwire article. Show or hide the remote language bar. The language bar displays the preferred input language in an application session. If this feature is enabled (the default), you can show or hide the language bar from the Advanced Preferences > Language bar UI in Citrix Receiver for Windows. You can disable this feature using a registry setting on VDA side. For more information, see “Show or hide the remote language bar” in the HDX article and Improve the user experience. Text-based session watermarks to deter and track data theft. This feature allows you to configure textual watermarks containing information to help track data theft. This traceable information appears on the session desktop as a deterrent to those using photographs and screen captures to steal data. Also, see the install and upgrade changes described in the previous section, XenApp 7.17 and XenDesktop 7.17. After upgrading your VDAs to this version (from version 7.9 or later), you do not need to update the machine catalog’s functional level. The default (7.9 (or newer …)) remains the current functional level. 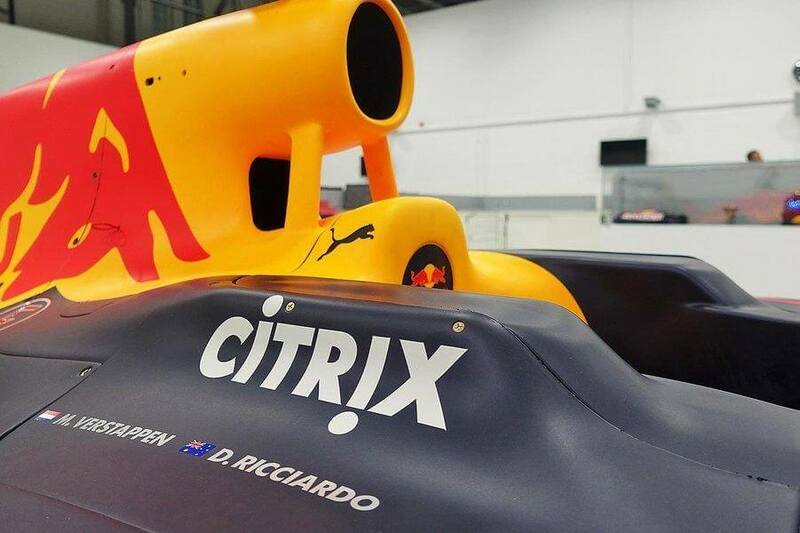 Since Citrix released the first version of Linux Virtual App and Desktop support in 2015, Citrix has continue to implement innovative feature enhancements that ensure Citrix XenApp 7.17 and XenDesktop continues to be the leading solution to securely deliver apps and desktops for any use case. This is why the availability of Linux VDA 7.17, an update that delivers key features that improve both security and end-user experience for Linux deployments. It has improved performance for users who need to access graphic intensive workloads. With the 7.17 release, Linux VDA 3D Pro now supports vGPU for NVIDIA Pascal GPUs and also supports vGPU hardware encoding. With these new features, organizations are now able to enhance their current Linux VDA 3D Pro implementations to better leverage the latest Grid vGPU technologies to meet the demands of end users working with graphically intensive applications. Citrix Licensing 11.14 contains new features and fixed and known issues.